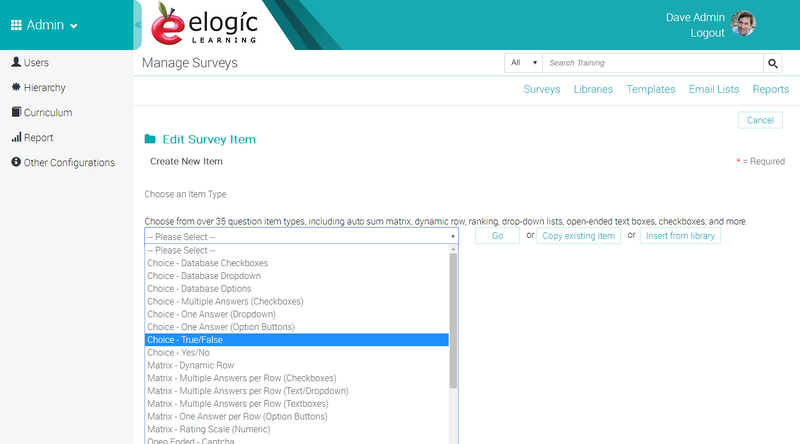 The eSSential Learning Management System features a cutting-edge survey engine, embedded right in the application. 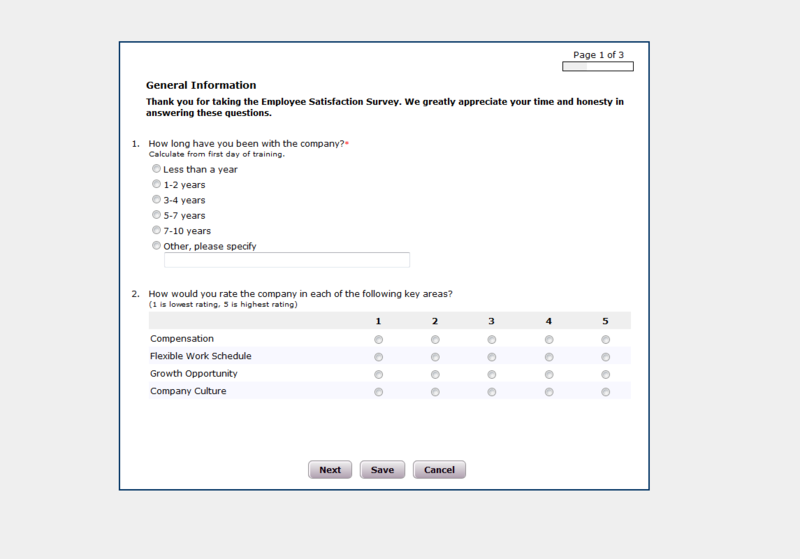 This survey engine is simple to use, yet offers a robust set of options to build as complex of a survey as your organization could need. Robust reporting to analyze survey responses by organization, by geography, by curriculum record, by user, etc.